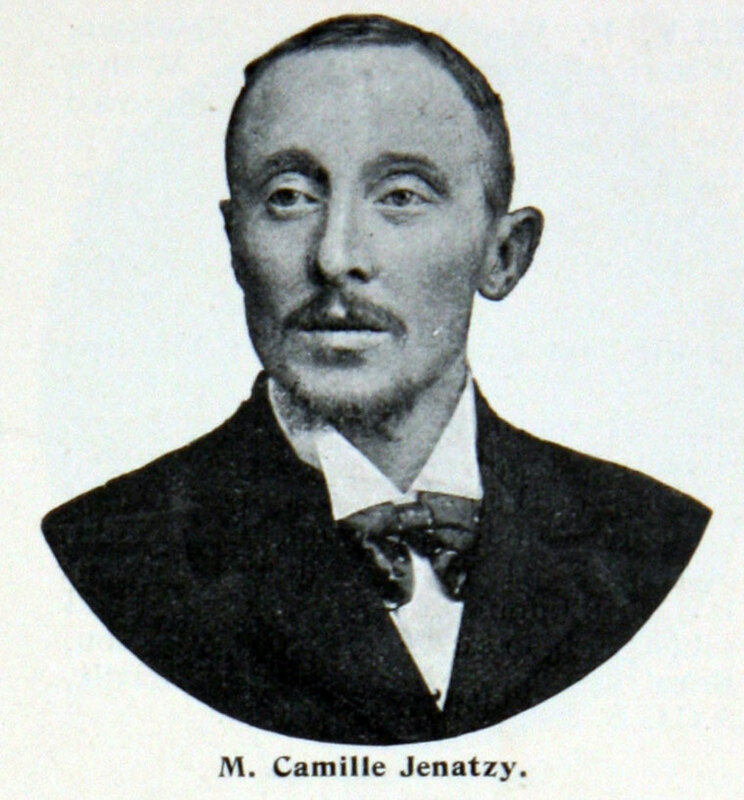 Camille Jenatzy (1868–1913) was a Belgian race car driver. He is known for breaking the land speed record three times and being the first man to break the 100 km/h barrier. He was nicknamed Le Diable Rouge ("The Red Devil") after the colour of his beard. 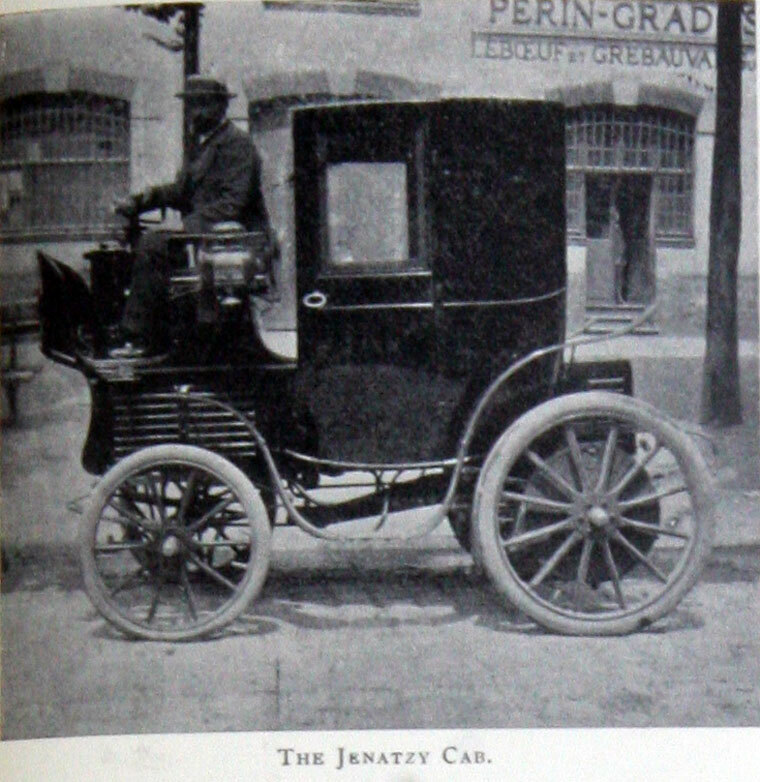 On January 17, 1899 at Achères, Yvelines near Paris, France, he reached the speed of 66.66 km/h (41.42 mph) over the kilometre, driving a CGA Dogcart. Full details in The Autocar. 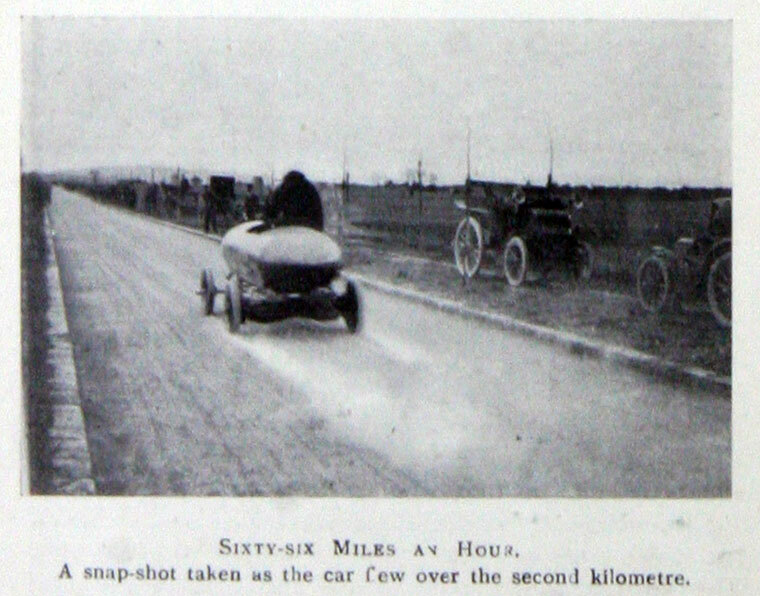 That same day, the record was broken by Gaston de Chasseloup-Laubat, topped on January 27 when Jenatzy achieved 80.35 km/h (49.93 mph). 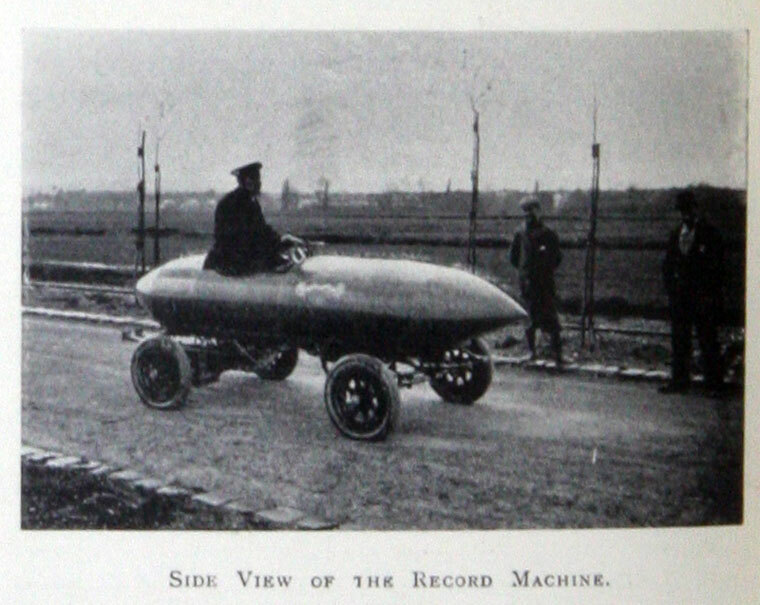 This record was again broken by Chasseloup-Laubat, who applied rudimentary streamlining to his Jeantaud. 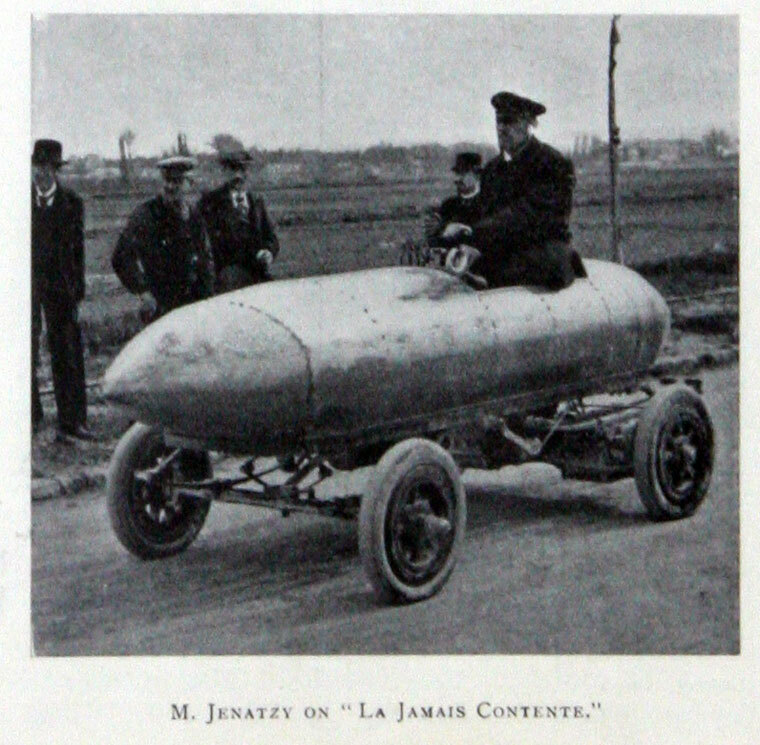 Jenatzy replied with his third and final land speed record on April 29, reaching 105.88 km/h (65.79 mph) in the electric CITA Nº 25 La Jamais Contente, the first record over 100 km/h (60 mph). 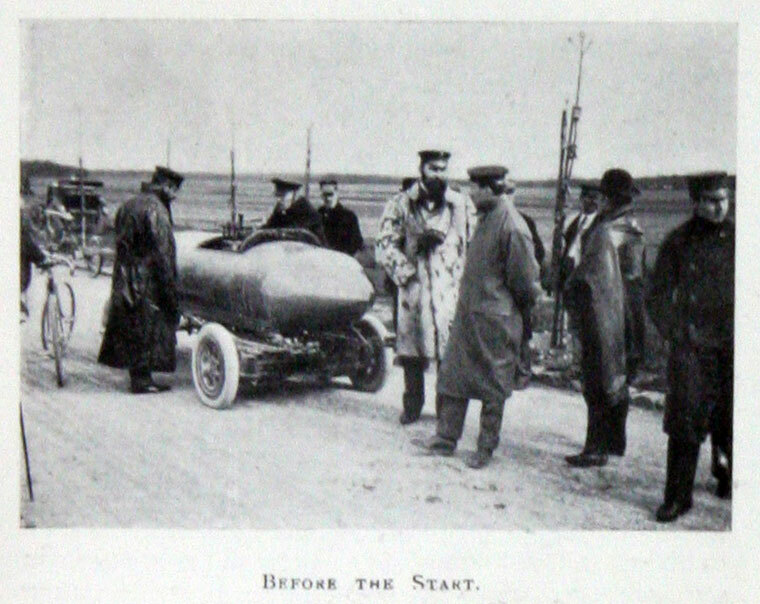 In 1902, he lost the land speed record to Leon Serpollet. 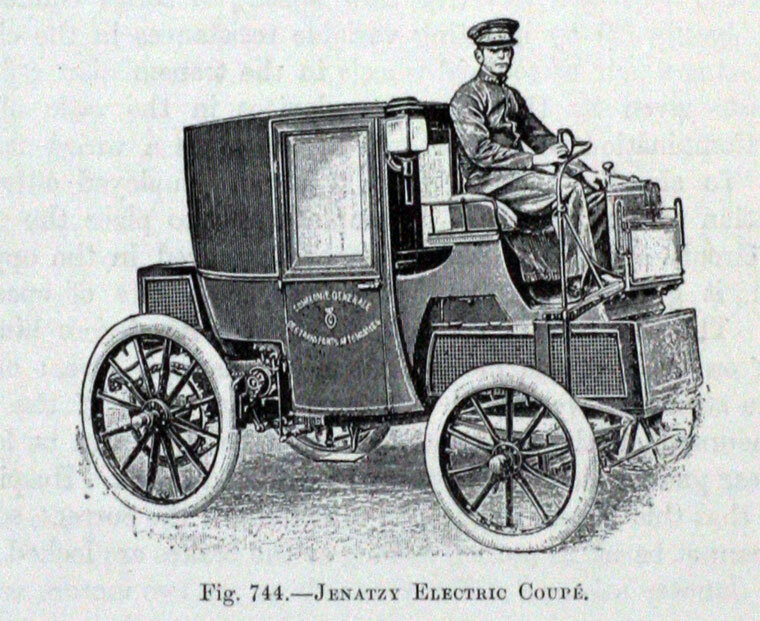 1903 Jenatzy regained the record winning the 1903 Gordon Bennett Cup in Athy, Ireland, at the wheel of a Mercedes, the same year. 1913 December 8th. Jenatzy died in a hunting accident at Habay la Neuve. He went behind a bush and made animal noises as a prank on his friends who were hunting with him. 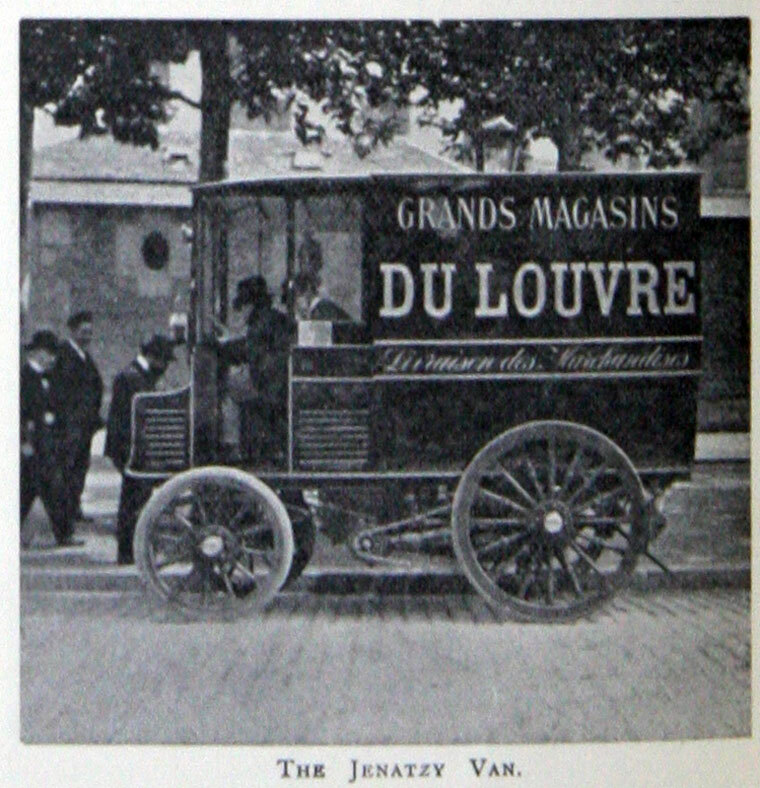 It worked too well, they heard the noise and one of them, Alfred Madoux, director of the journal L'Etoile Belge, fired, believing it was a wild animal. When they realised it was Jenatzy, they rushed him to hospital by car; he bled to death en route, fulfilling his own prophecy he would die in a Mercedes. This page was last edited on 13 December 2017, at 15:48.